The Property Unit conducts criminal investigations and prepares cases for prosecution of the violator(s). Crimes investigated by this unit include residential and commercial burglaries, auto theft and all other types of theft and vandalism. 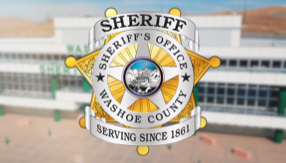 The auto theft detective is tasked with the responsibility of investigating all reported vehicle thefts and assisting outside agencies in the recovery of stolen vehicles in the Washoe County area.